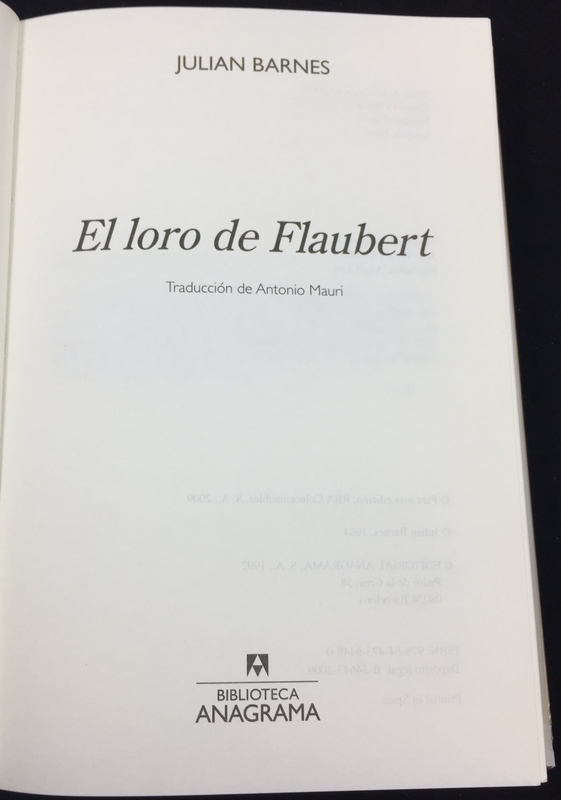 Notes on this edition: El loro de Flaubert | Flaubert’s Parrot. 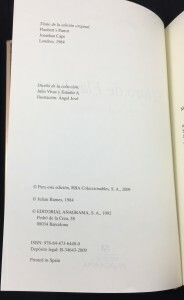 Barcelona: Biblioteca Anagrama, 2009. Pp. 229 + . 21.9 x 14.5 cm. Translated by Antonio Mauri. 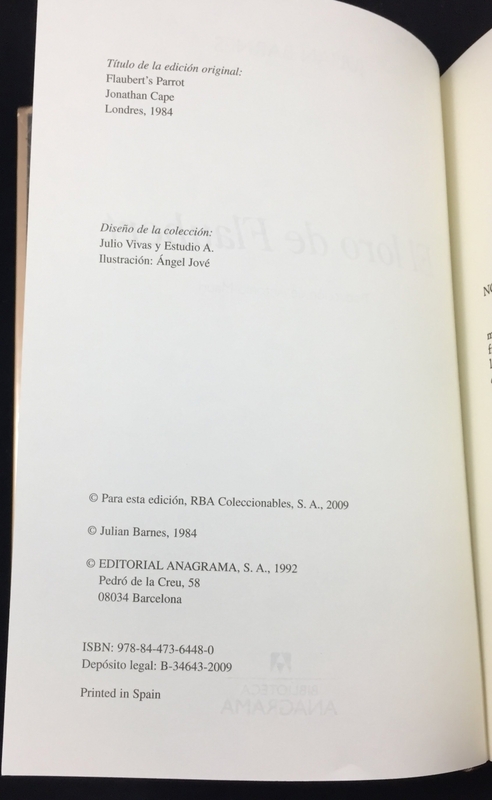 ISBN: 9788447364480. 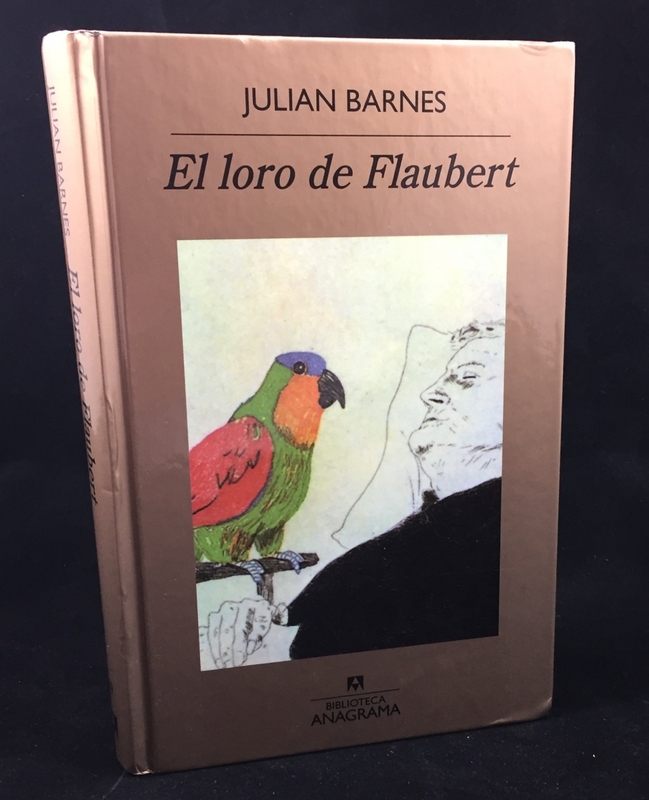 (Spanish). 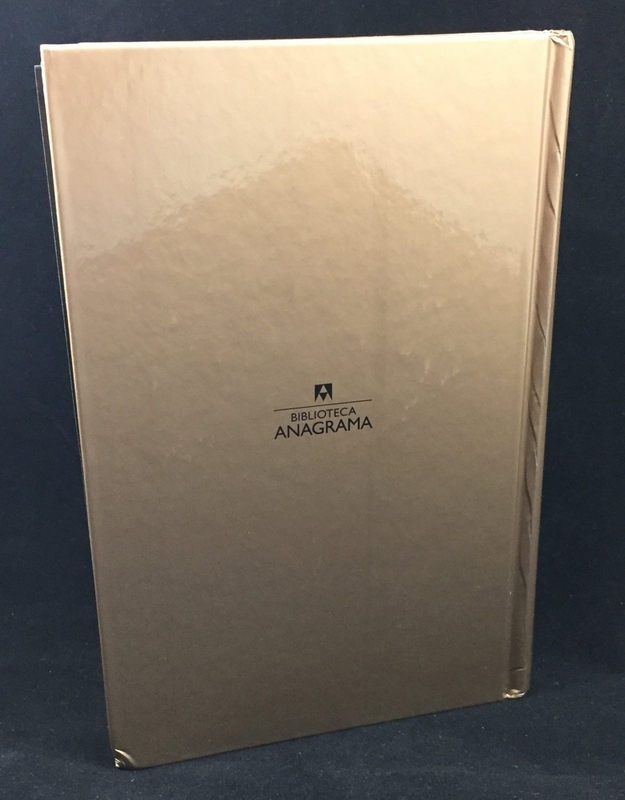 Hardcover pictorial covers in gold.